Locksmith is the profession of fixing broken locks, making keys and installing security systems like alarms and so on. A locksmith can be seen as a person or group of people who works with locks, keys and security systems. A good example of the best locksmiths in DC is DC LOCKSMITH SQUAD – providing the best locksmith DC services in the Washington Metro area for years. DC Locksmith Squad has professionals who offer commercial locksmith, residential locksmith, and mobile locksmith services. We are specialist in lock replacement, lock installation, and rekey. Sunday – Thursday: Open 24 Hours! Need a Locksmith in DC? All the residential and commercial places use various types of high-end security products, security systems and locks for the security of their premises, equipment, people, materials, items and even information. They require the expertise and services of commercial and professional locksmiths for advising on lock security systems and their maintenance. Moreover, you may need assistance to maintain and repair these devices and systems. 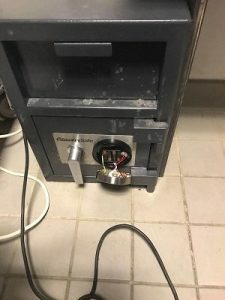 It may involve a big task of installation of a complete security system or be a small job requiring a change of a lock, a repair, or replacement you need the help of a DC locksmith squad. In working places like offices, schools, restaurants, and other organizations, the best possible security is by guaranteeing locks that work. On the off chance that you have any issues, DC Locksmith Squad offers the best locksmith DC services. Our company not only install locks, but we also look for signs of faulty locks that need to be restored and repaired! Our experienced professionals work with top-notch equipment and tools needed to get the job done. Your property safety is our number one priority. With us, your security is guaranteed. For many people, their homes are considered the safest haven in their lives. As a result, they want their property to be as secure as possible. DC Locksmith Squad can help you with that. We offer the best locksmith near me DC services in the Washington metro area. Our company performs lock installation, lock repair, and rekeys with the highest quality materials and tools. We want to ensure that our customers get what they’re paying for. Our residential locksmith services allow our customers to be rest assured that their homes are safe and sound. When it comes to the lock performance of cars, it can be hard to choose the right locksmith service because there are many different models of cars. Each car model has their own distinctive security system. However, don’t worry – we are trained to fix and perform lock repairs on various car models. DC Locksmith Squad consists of experienced professionals who can provide you with the right locksmith DC services. Our hands on assistance can guarantee the finest quality services with no surprise charges. We will take care of any future lock issues related to your automobile. DC LOCKSMITH SQUAD OFFERS FAST EMERGENCY LOCKSMITH SERVICES AS WELL AS MAINTENANCE FOR RESIDENTIAL COMMERCIAL AND AUTOMOTIVE. DC Locksmith Squad is one of the most high rated locksmiths in DC, we are experienced, reliable and affordable. We offer fast emergency locksmith in Washington DC and surrounding areas, our ETA is usually 15 minutes. When you think of a service that helps to maintain a safe and secure environment for everyone, locksmith services first comes to mind. So many situations arise that cause pain, lateness, emergency and need for safety, but top locksmith services like DC locksmith squad knows what it takes to get you out of these conditions quickly and efficiently. If you’re looking for a reliable locksmith in DC, we are here for you! When you leave your office, home, or car – you want to make sure your property is safe. We can guarentee you the safety and security your property needs. You can be worry-free when you try our locksmith services. Our high-quality materials and experience make us the best locksmith company in the DC Metro Area. Additionally, our prices can’t be beat! Our company is a top-rated association – providing the best services among locksmiths in Washington, DC. We are here to share with the community our expertise, skills, and knowledge over all the years of experience we’ve been in the industry. We care about our clients and understand their concerns – which is the reason we why we act accordingly. Our experts work rapidly and skillfully to repair your locks and other lock related problems in a efficient and timely manner. Our performance is solid as we have an extraordinary number of fulfilled customers. We offer 100% quality and reliable work. Take a look at our happy reviews! Don’t skip out on the opportunity – contact our team today and we will provide you the necessary steps and actions moving forward. So, call us now at: (202) 899-7726 for the BEST locksmith DC services today! Dave is hardworking, responsive, and knows what he is doing. Prices are fair! Amazing to work with those guys Highly recommended!!! David was fantastic !! 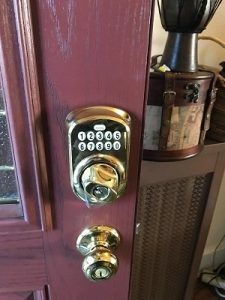 I called Dc locksmith squad last week for a deadbolt installation their customer service was amazing , David The technician arrived at the same day , I was really comfortable with his knowledge and his work . I’ve been used Dc locksmith squad couple times before, Highly recommended for any locksmith needs The technician David was very polite and professional, he pick my lower lock really fast and without any damage . Thank u for your Quick response guys! David is a wonderful locksmith, very patient. Does good work and is very responsible. Service #1. Totally recommend him. Outstanding customer service, quick and affordable. I highly recommend DC Locksmith Squad for any of your needs.. # 1 locksmith I have encountered! David is as efficient as it gets when it comes to changing locks. Gave me a very reasonable estimate, finished the job precisely in terms of accuracy (no bends or faulty work) and showed me how each lock worked before he left. Sometimes you just need a good locksmith - and I’m glad I found him! I went outside for a quick second to water my plants only to realize I had locked the door behind me, leaving my keys/shoes/wallet/fresh bacon just inside. Needless to say I was in a terrible mood and was not very nice to the locksmith guys on the other end of the phone. Nevertheless, my man showed up fairly quickly with a smile and popped the door open in about 30 seconds. While I don't fully understand the economics behind charging $99 for a flick of the wrist, I really appreciated his friendly attitude and extremely handsome face. Thanks locksmith squad! This team is no joke. 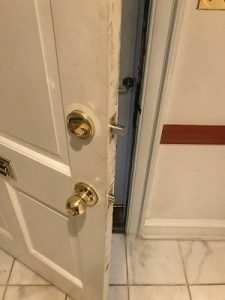 They did a high quality job on installing and replacing a lock at my apartment, in addition to walking me through future lock improvements and key replacement options. He was punctual, communicative, and did a clean job. I will definitely continue working with them in the future. Enjoy the benefits of the Ideal Locksmith Services in DC – Call us now!